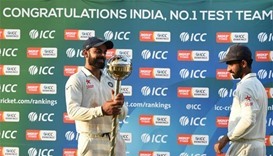 Skipper Virat Kohli was on Tuesday presented with the ICC Test Championship mace as India were officially crowned the number one side after their 3-0 thrashing of New Zealand. 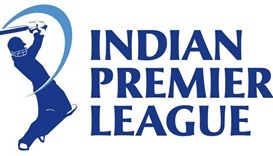 The glitzy Indian Premier League (IPL) starts on Saturday, helping to ease the heartache of millions of fans following India's failure to win the World Twenty20 on home soil this month. India qualified for the World Twenty20 semifinals and knocked out Australia after Virat Kohli smashed an unbeaten 82 in their do-or-die showdown in Mohali. Star Indian batsman Virat Kohli was fined 30% of his match fee for misconduct during Saturday's Asia Cup match against Pakistan, the International Cricket Council said. A Pakistani cricket fan is facing up to a decade in jail after he was charged Wednesday for jubilantly waving the flag of longtime foe India when his idol Virat Kohli made a match-winning knock.